The Complete Government Chatbots Guide is the definitive source for everything you need to know about government agency-hosted chatbots. – What Benefits Do Chatbots Provide? 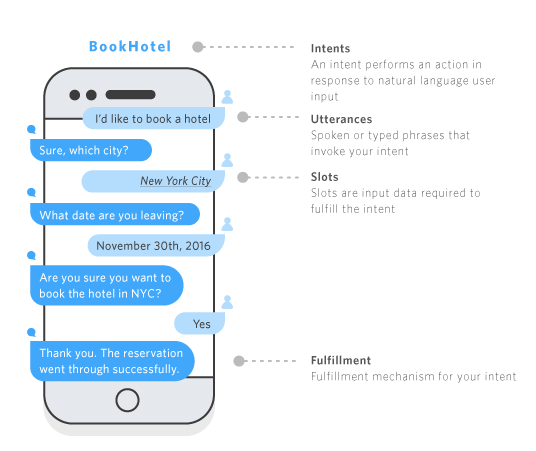 Think of a chatbot as an app that users interact with in a conversational way. Chatbots can have extended dialogs with you through text messaging, Facebook Messenger, Skype, WhatsApp, Web Chat, or many other communication platforms. Chatbots can also communicate with cards, or speech. Chatbots give you information and perform actions on your behalf. A really good chatbot understands what you’re asking for (even if you don’t use perfect grammar or spelling), and quickly satisfies your request. Chatbots are inexpensive: using the Microsoft Bot Framework & Azure Government cloud, a government agency can maintain a chatbot for less than $200 per month! Chatbots work 24/7/365: people want services beyond the normal 9 am – 5 pm business hours. Why not have chatbot provide services 24 hours a day? Chatbots can reduce the burden of inquiries you have to respond to: the city of Los Angeles’s chatbot reduced email inquiries by 50%! What Benefits Do Chatbots Provide? Now that you know what a chatbot is, let’s talk about the benefits chatbots can offer to government agencies. Faster service: reducing customer wait times always enhance the customer experience. Rather than keeping phone customers on hold, government agencies can use chatbots to handle simple customer requests immediately. 24/7/365 availability: customers want services beyond the normal 9 am – 5 pm business hours. Why not have chatbots that can provide services 24 hours a day? Ease of use: since chatbots use natural language interfaces, there is absolutely no learning curve to using them–if you know how to read and type, then you know how to use a chatbot. Building and maintaining a chatbot to handle customer requests is much cheaper than hiring a new government employee. Furthermore, as chatbot technology progresses, the cost to build and maintain a chatbot will continue to go down. Chatbots often integrate machine learning technology, which allows them to continuously improve their accuracy without any new development. This is a tremendous benefit to government agencies that need to increase performance and decrease ongoing cost. While chatbots will never completely replace the human element at government agencies, technology has reached a point where agencies can significantly enhance the customer experience (and also reduce cost) by using chatbots to fulfill certain services. Most 311 calls are simple information requests or complaints. Rather than putting people on hold to wait for the next available 311 operator, local government agencies can use chatbots to immediately fulfill requests and respond to complaints. General information/hours/directions for public facilities: like parks, libraries, city hall, courts, etc. Are you having problems finding pages and documents on your internal government SharePoint site? A chatbot can enhance the SharePoint experience by helping users find pages and documents–and chatbots can provide this help more quickly than a call to the support desk. Chatbots can be integrated into SharePoint workflows that support internal government processes. Chatbots can also enable text message interaction with internal SharePoint document libraries and other resources so that you have easy access to SharePoint with your phone. Websites and Facebook pages are all about engagement, and chatbots can significantly improve the engagement with your customers. Chatbots engage users by personalizing the user’s experience. Government agencies with lots of visitors can enhance the customer experience of their website and Facebook pages by adding chatbots that provide users useful information. The Microsoft Bot Framework is a powerful platform we use for building, connecting, testing, and deploying chatbots. 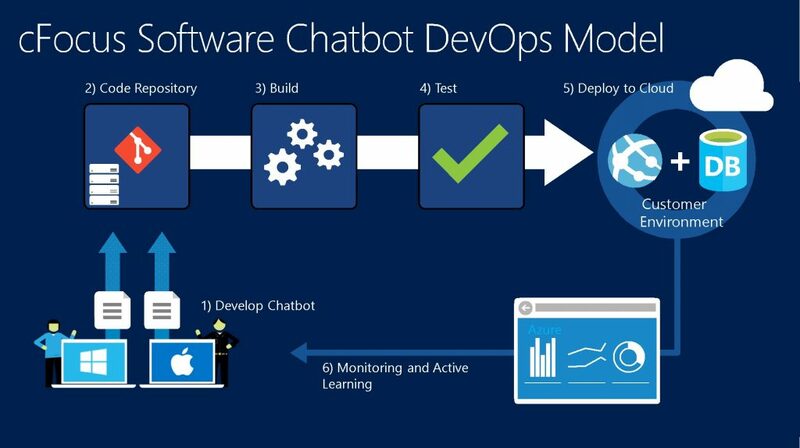 The Framework consists of: the Bot Builder SDK, the Azure Bot Service, the Developer Portal, and the Bot Connector Channels for Facebook, Skype, Web Chat, etc. With Amazon Lex, the same deep learning technologies that power Amazon Alexa are now available to any developer, enabling you to quickly and easily build sophisticated, natural language, conversational bots (“chatbots”). With the IBM Watson™ Conversation service, you can build a solution that understands natural-language input and uses machine learning to respond to customers in a way that simulates a conversation between humans. Through our custom Chatbot DevOps Model, cFocus Software delivers natural language chatbots that dramatically improve the customer experience on government websites, Facebook, Office 365, Skype, and other channels. Our chatbots can also increase productivity of internal processes.